The Africa London Nagasaki (ALN) scholarship fund supports African scientists wishing to undertake a Master’s degree related to the control of infectious diseases in Africa. Each year, four or five scientists will receive up to a maximum award of US$50,000 each to cover tuition fees, travel and living expenses. 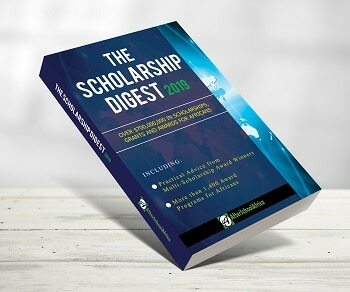 About Scholarship: The scholarship funds a candidate to undertake an MSc in a subject relevant to the control of infectious disease in Africa at either the Institute of Tropical Medicine, Nagasaki, Japan or at the London School of Hygiene & Tropical Medicine (LSHTM), London, UK. Both residential and distance learning MSc courses are available at LSHTM. Candidates offered a course at the Institute of Tropical Medicine, Nagasaki will be required to reside in Japan for the duration of the course. Successful candidates are required to write a formal report on completion of their course. Eligibility: Candidates applying for an Africa London Nagasaki (ALN) MSc scholarship must meet the following criteria. be fluent in English. If the applicant’s first language is not English or if the studies at university have not been conducted wholly in the medium of English candidates must take and pass one of the approved internet-based tests (IELTS, TOEFL or a Pearson Test of English) (http://www.lshtm.ac.uk/prospectus/english.html). The standard of English needed to pass the tests is high and is in line with the level of English required by the UK Border Authority in order to issue a student visa. Identify an MSc course at either LSHTM or NEKKEN that you would like to study, but do not apply to the university. Ensure you are eligible for the MSc course and ALN Scholarship. Please note NEKKEN applicants must have a medical qualification. Register to create an account with ALN. You must have an account before you can apply. Log in to download the application form. Complete and submit the application form by Saturday 12th September 2014. No supporting documentation is required at this stage. Applications will be considered by a selection committee and four candidates will be offered Scholarships by mid February. Successful candidates to apply for the MSc course at the specified university by 1 March. Scholarship awardees that are given a place at university start their MSc course in September at LSHTM and October at NEKKEN.